Hello my lovelies! It's another cold January Monday in my neck of the woods. I don't know about you but I'm certainly fed up with the cold and can't wait for spring to come. Tomorrow is a bank holiday in my country so at least I've got that going for me. 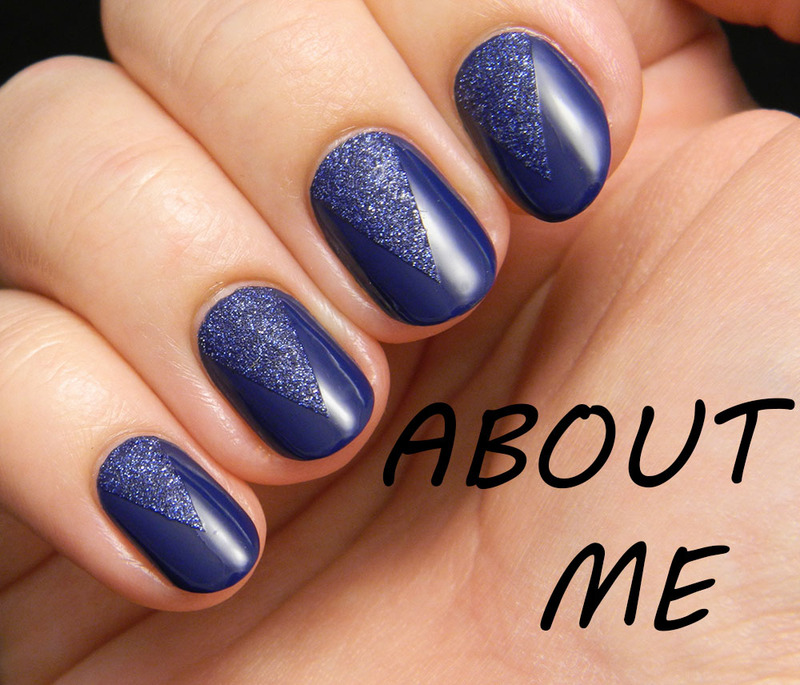 I also have some brand new blue nails to show you. The design was inspired by a pair of cozy fleece pants that I like to wear around the house when it's freezing outside. They have a winter sweater pattern on them that I love. I bought them a couple of years ago so I'm not sure if they can still be found, but if you wanna see them click here. 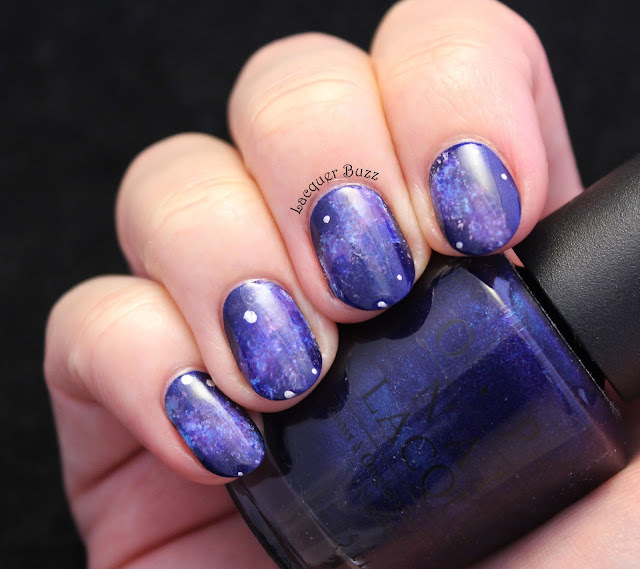 I must admit that I'm not completely happy with how these nails turned out. 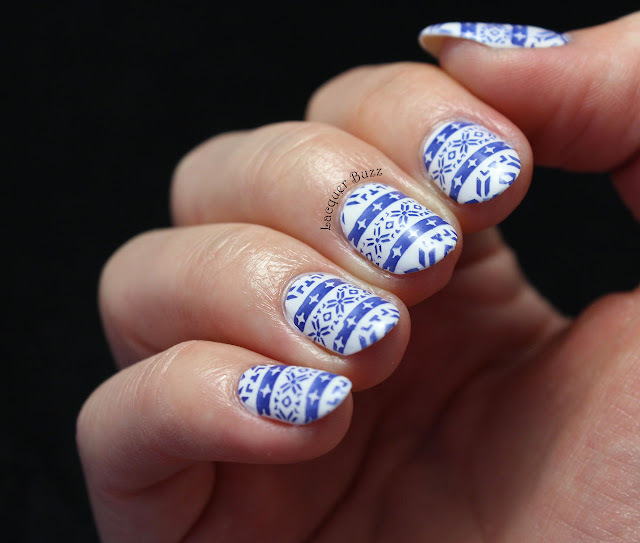 Firstly, even though I used a clear jelly stamper, I didn't stamp the design straight on all the nails. Some of them are crooked and that's definitely my fault. 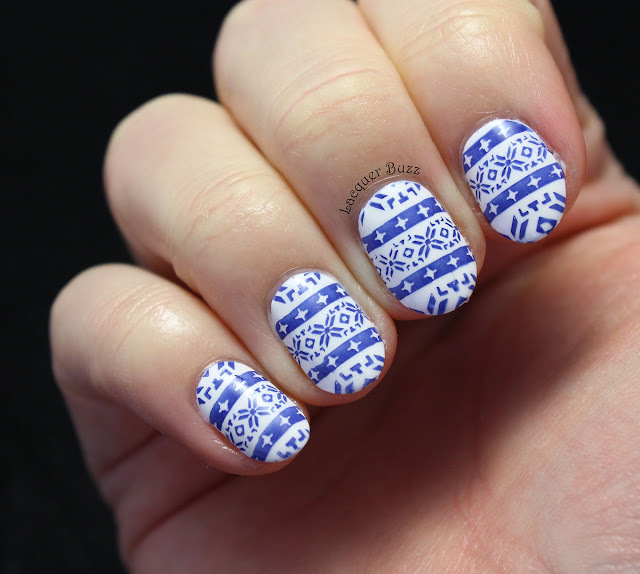 Secondly, I used a normal polish for the stamping because I don't own a proper navy blue stamping polish, and it became a bit transparent after I painted the top coat over it. But I still like these a lot and they definitely look better from a distance. As a base, I used my current white creme polish, namely Barry M Cotton. 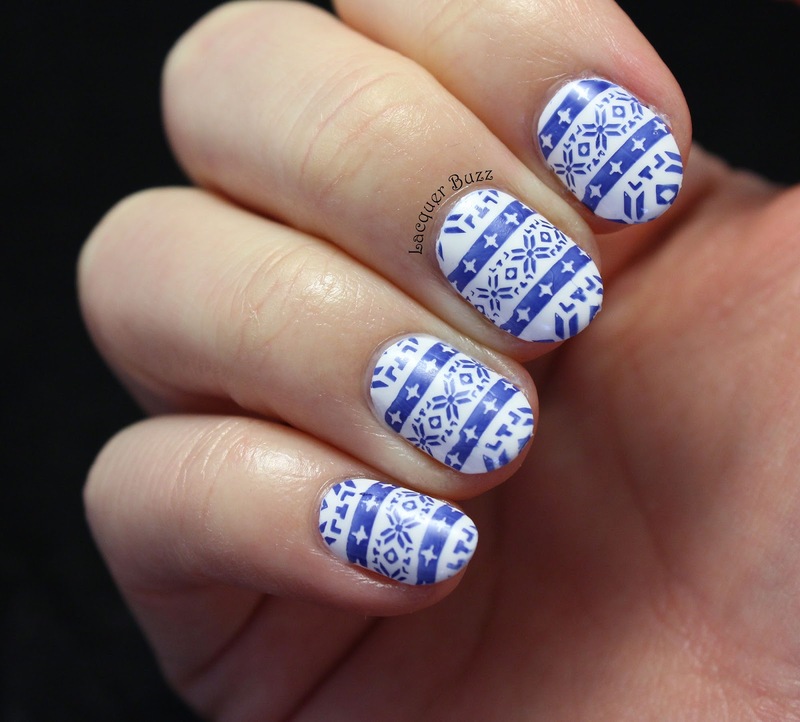 I stamped using p2 110 Ocean Lady, a very pigmented blue creme that stamps great. It actually looked a lot better before I top coated it. 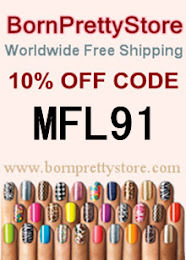 The image I used is from plate BPX-L008 from the Born Pretty Store. This is a holiday plate full of Christmas designs that I was really looking forward to use this year. Sadly, because of the delays in the post it got to me after the holidays so I guess I'm gonna use the rest of the designs next year. 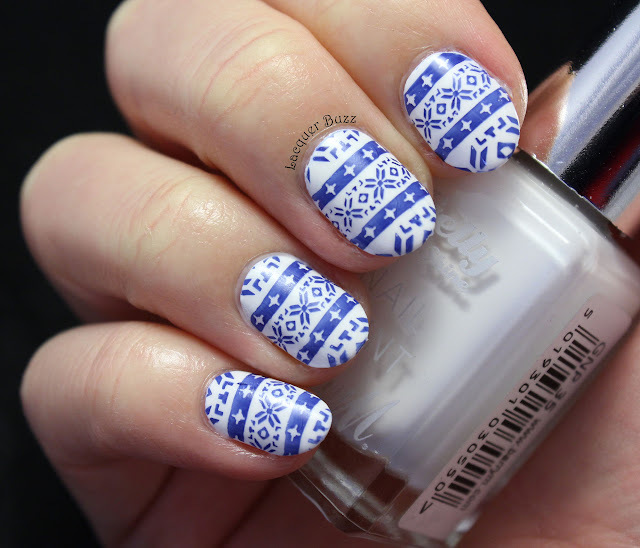 I'm not sure if this is gonna be the last winter inspired nail art of the year because there's also a snowflake design on this plate that I really like. I do need a spring and summer vibe though, so maybe I'm gonna do a few colorful designs first. 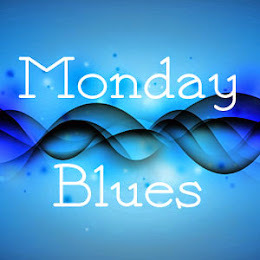 Meanwhile make sure you check out the rest of this month's Monday Blues in the links below! Monday Blues: Happy Blue Year!